The only type of dog to have a blue tongue is the Chow. Every other species of dog has a pink tongue. The only mammal that can fly is the bat. The only way that a flamingo can eat food is if it's head is in the upside down position. 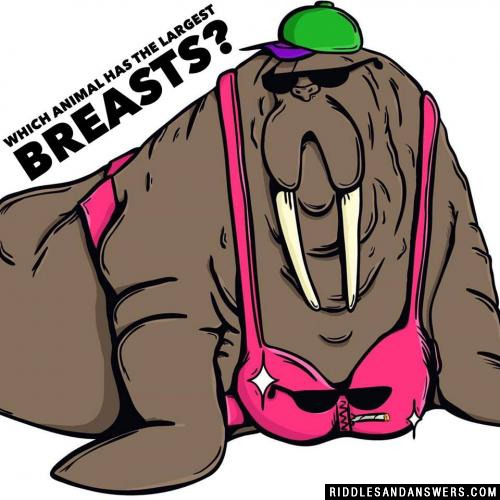 The blue whale holds the title of the largest animal on the planet. One elephant tooth can weigh anywhere from 5 to 10 pounds. 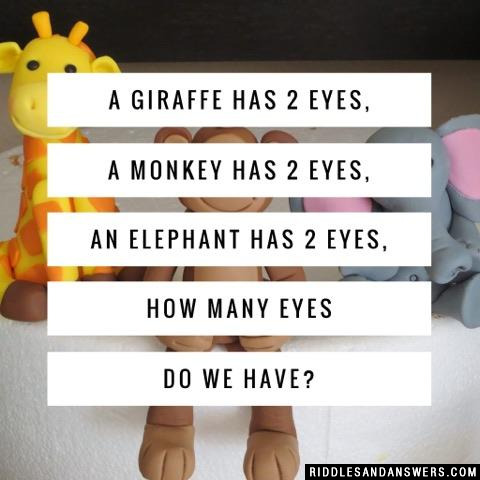 Animal riddles are an outstanding activity for parents to give to their children on those dull days off. 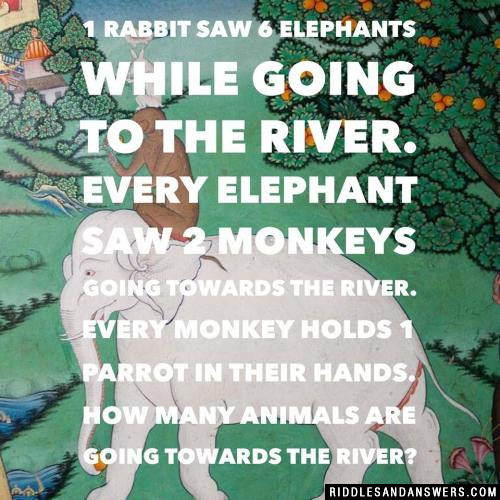 Riddles about animals are such a terrific learning instrument, [plainly] because they are so familiar to children. As young people develop they are often enlightened about animals that live in this world in a variety of ways. 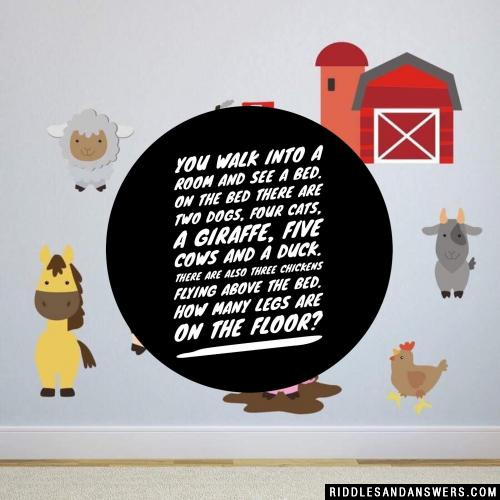 With this familiarity children are often very interested in riddles on animals that seem to already be a part of their lives. 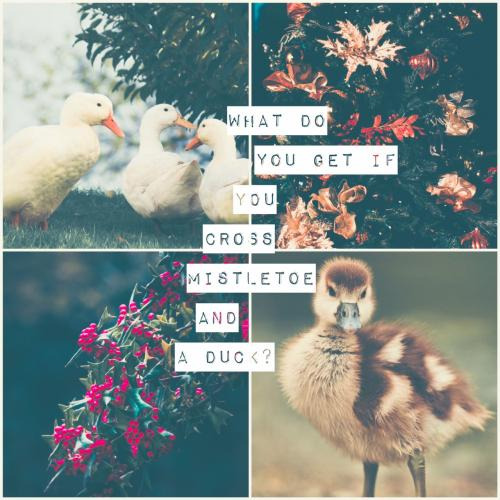 - These riddles are primarily composed of questions that involve the use of various animals and things that relate to them. 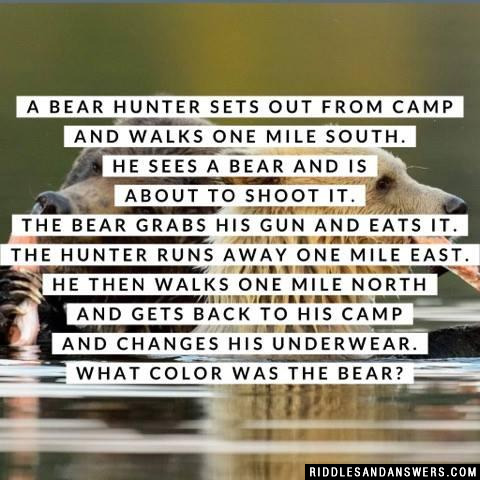 - These riddles aren't the most challenging set of riddles on our site. 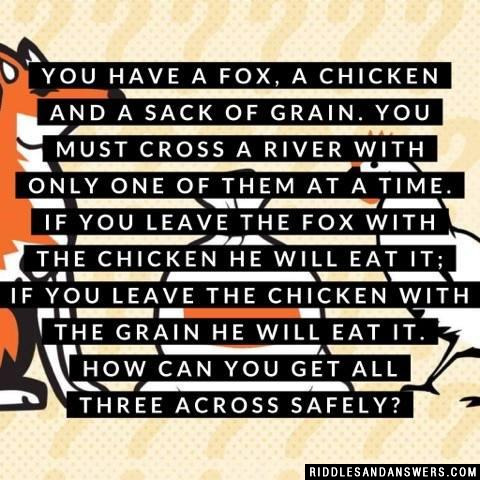 If you are looking for riddles that are at a higher level of difficulty be sure to check out sections like our "hard riddles" category. Where might you spot a celebrity deer drinking a mocha java? You walk into a room and see a bed. On the bed there are two dogs, four cats, a giraffe, five cows and a duck. There are also three chickens flying above the bed. How many legs are on the floor? There are six legs on the floor. Four legs from the bed and your own two legs as you stand in the room. All the animals are on the bed and not on the floor. 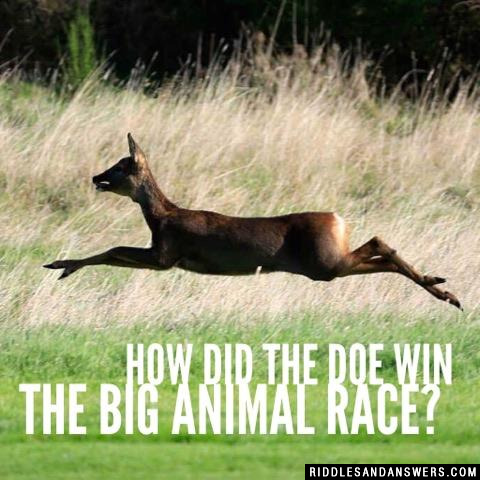 How did the Doe win the big animal race? 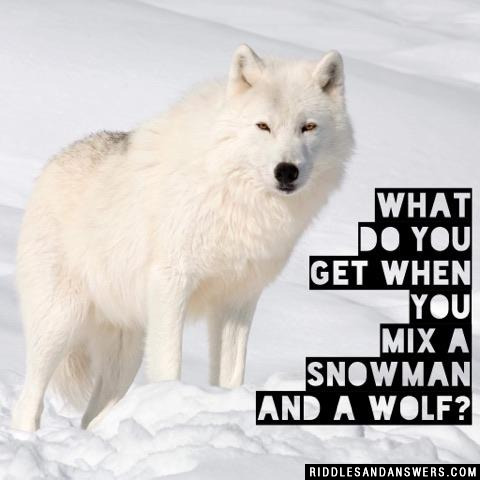 What do you get when you mix a snowman and a wolf? 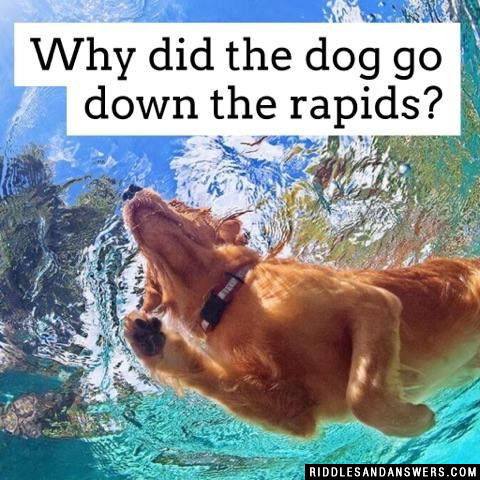 Can you come up with a cool, funny or clever Animal Riddles of your own? 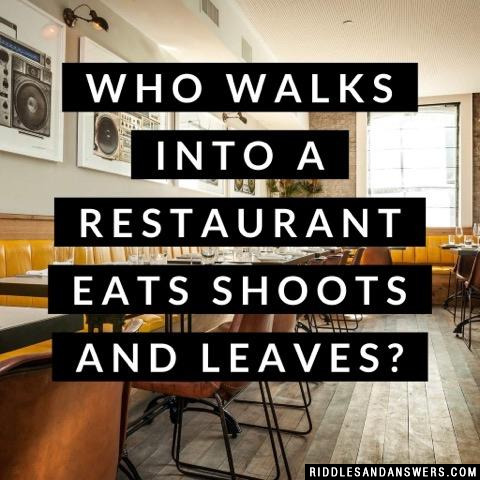 Post it below (without the answer) to see if you can stump our users.